Kids these days are more connected and tech-savvy than ever before - and perhaps more technologically inclined than we are! As the holidays roll around, it’s often difficult to decide on the perfect gift for the little ones in your life, especially when many of the tech gifts they want aren’t designed for little hands and active kids. Luckily, the market for kids’ technology is expanding to make their tech safer and more kid-friendly than ever, and we at InMotion are here for it. With these awesome kid-friendly travel tech gifts for the best kiddos in your life, your pint-sized tech enthusiasts are bound to have the merriest holiday season ever. Kittens and Tigers and Pandas (on headphones)... oh my! Let creativity grow with headphones with more character than your little one. Listening to music, audiobooks, and more has never been more fun (or more cute) than with iFrogz Little Rokerz Costume Headphones. 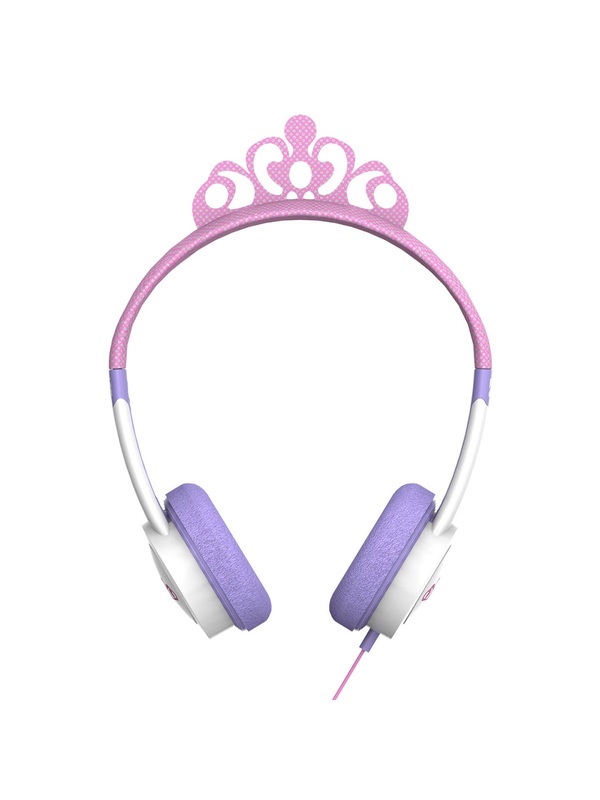 These kid-friendly headphones are perfect for letting your child’s imagination blossom as they are instantly transformed into a character of their choice. These padded headphones are designed for maximum comfort for tender little heads and are designed to look like tigers, kittens, pandas, and even princesses. Not only are these adorable headphones a tech gift your favorite kiddo will love, but parents will love them too. With a maximum volume of 85 decibels, your child’s listening will always be at a safe volume for little ears. Additionally, struggling to share headphones with friends and siblings is a thing of the past - all iFrogz Little Rockerz Costume Headphones come with a buddy jack so everyone can share the high-quality sound at once without the bickering and hassle of sharing. With headphones perfect for creative little minds, your holiday travels will never be easier. Everything in your child’s life is as vibrant as their blooming personality, so why should their headphones be any different? Allow your little ones to stand out with JBL JR300 and JBL JR300BT - the perfect headphones for those who refuse to blend in. Coming in a variety of fun colors - including pink, green, blue, and orange - are even customizable with stickers that are included with every box. 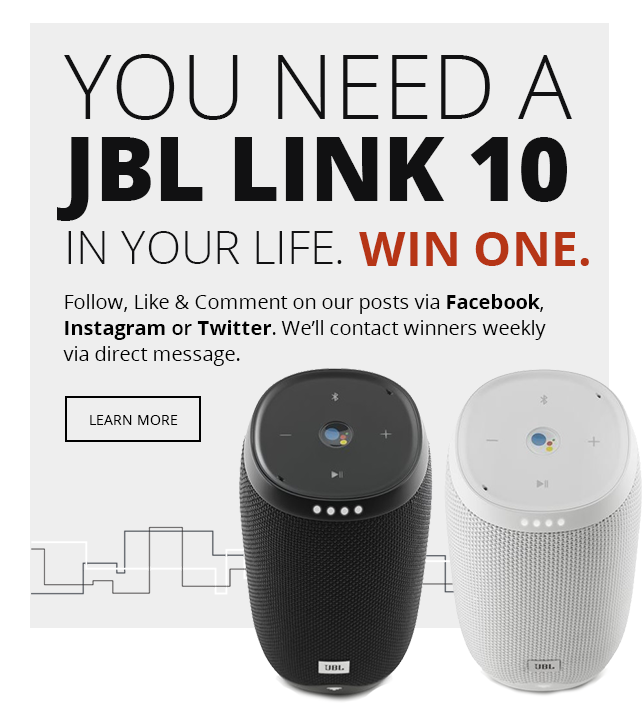 Not only are JBL JR300BT and JBL JR300 some of the most unique-looking headphones you can find, but they come with a variety of the high-quality features you expect from brands like JBL. With a 12-hour battery life and foldable, compact design, these headphones are the perfect travel companion for keeping y little ones content and entertained during Holiday trips. Some kid-friendly feature include custom designed ear cushions that are extra sort for little ears, maximum 85 decibel sound control, and simple controls for little hands. As the greatest headphones for kids always looking to stand out, JBL JR300 and JBL JR300BT will be on the top of every child’s list this year. Your little ones are always on the go - from school, to soccer practice, to all their holiday adventures - and are in desperate need of some headphones that can keep up with their high-energy lifestyles. That’s why JLab Audio has created JBuddies Studio Bluetooth Over Ear Folding Kids Headphones. These headphones are completely wireless with a 14-hour battery life, bluetooth, and built-in controls and microphone, making for the perfect all-in-one headphones for travel. 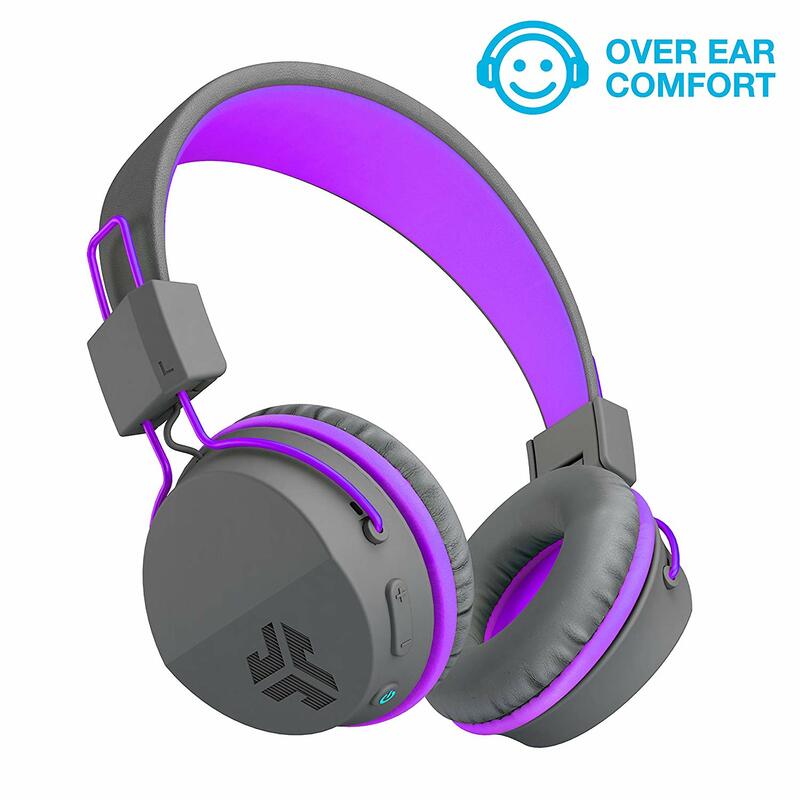 Designed for ages six and up, these headphones come in great colors like blue and purple to let your child’s personality shine. 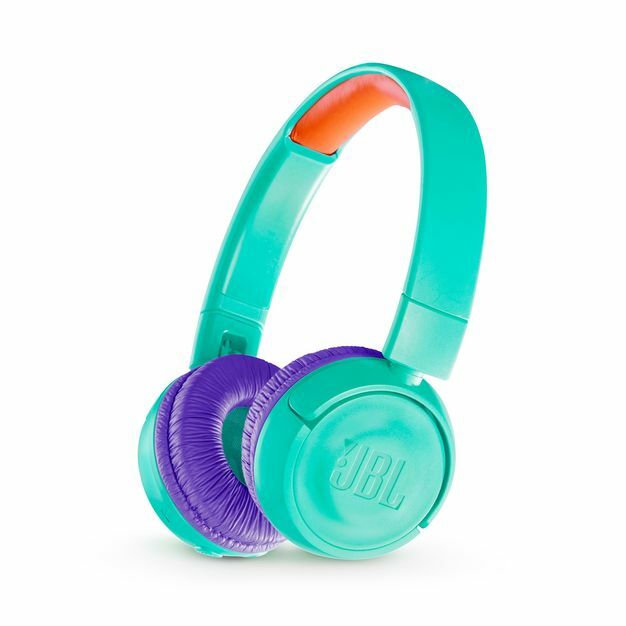 JLab Audio designed these headphones to keep your kids safe and comfortable, which is why they feature a maximum 85 decibel sound control and ultra soft Cloud Foam cushions around the ears. Additionally, JBuddies Studio Bluetooth Over Ear Folding Kids Headphones have a compact folding design so they can be easily stored and transported, making for the ultimate headphones for kids on the go. Kids are jam-packed with an abundance of creativity. When inspiration strikes for little artists, allow their imaginations to run wild with The Boogie Board Magic Sketch. From the makers of the original Boogie Board - a mobile, electronic drawing and learning surface - comes the device capable of creating stunning rainbow images with ease. With the ability to save, edit, and share art easily, the Boogie Board Magic Sketch will be your Young Picasso’s new favorite travel companion. Perfect for long journeys, restaurants, or little breaks from the Holiday craziness, your blooming artist can create drawings without crayons, paper, pencils, and erasers in tow. 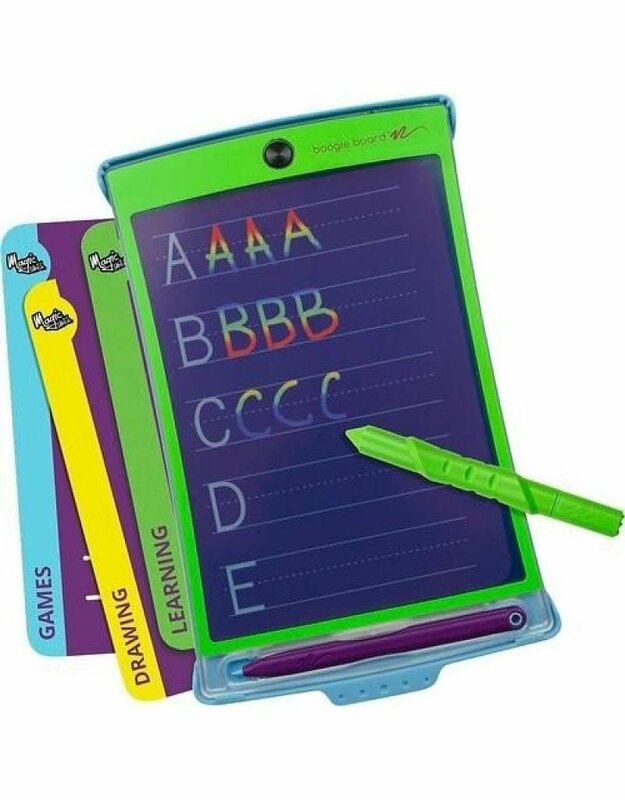 The Boogie Board Magic Sketch has a durable design and a replaceable battery with more than five years of battery life for a device that is constantly on-hand when your little ones need some easy, quiet entertainment. Your child needs a pair of headphones to make their Holiday travel more enjoyable and provide you with some peace and quiet along the way. The easiest way to give your little one headphones they will love? Put their favorite characters on them, of course. 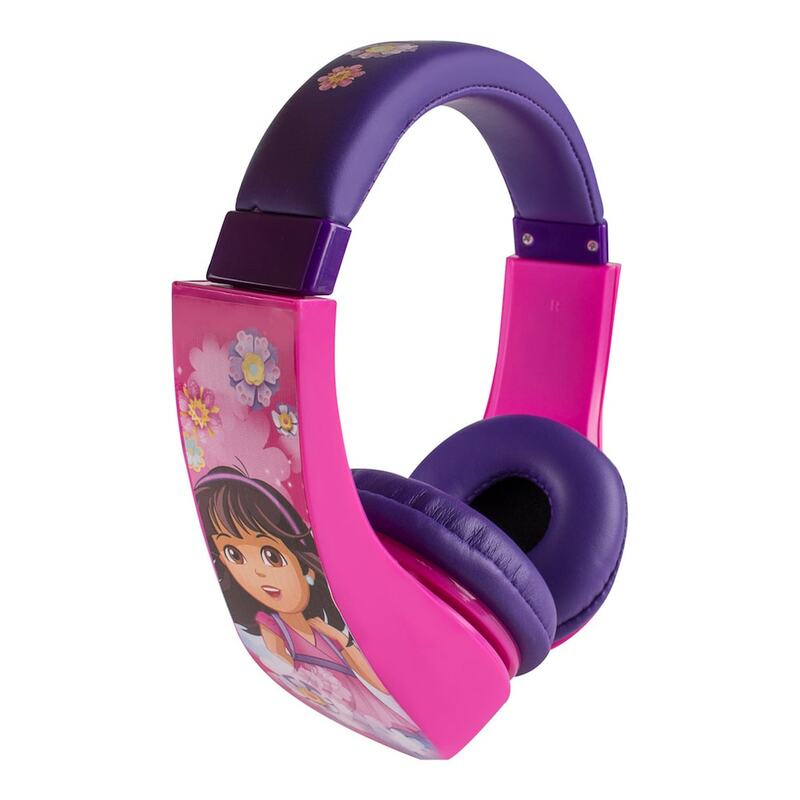 Sakar Kids Character Headphones come in styles like Dora the Explorer, Wonder Woman Kids, Thomas Tank Engine, Barbie, and My Little Pony Kids so that your fanatic will always have their best friend with them on all their adventures. These headphones include a volume limiter for safe listening and extra padding for maximum comfort. With affordable headphones with their favorite characters on them, your child will be excited about their new gift from the unwrapping to every listening experience that follows. With the market for kid-friendly technology constantly expanding, it can be hard to sort through the best gear to ensure safety and usability for kids. Finding the perfect tech for the best kiddos in your life this holiday season doesn’t have to be difficult, though. With expert help at InMotion, you’re guaranteed to find the perfect gifts for this Holiday season and beyond.